Let’s assume you’ve followed Kotter’s eight-step process for your safety-culture change initiative. So far you’ve identified a crisis, built a guiding coalition, developed a vision, communicated the vision early and often, recruited a voluntary force to help lead the change, enabled employees to act on the vision, and generated some quick wins. So what’s next? You must now continue to build on the momentum you’ve gained; else, just like on the snowy hill, you’ll find your progress stalled and losing traction. Here are some quick tips to keep the momentum going. Tip 1: Get the top dog actively on board. Much of the new culture must be promoted and modeled by the person at the top. In a facility or plant environment, that usually translates to a plant manager, general manager, managing director or even a VP. Employees must be able to “see” this leader’s presence throughout the plant, of course. But just as importantly, this leader must light a fire under the feet of his/her staff or leadership team to act in ways that help model and reinforce the culture (see below for examples). S/he must ensure that leaders are making themselves visible, walking through the facility, and engaging employees on a daily basis. Tip 2: Provide opportunities to practice the culture. If you’ve asked floor employees to do something new or different, or to behave in new ways on the job (which is assumed in a safety culture initiative), then you must give them opportunities to learn the skills to do this, and to practice those skills. In addition to targeted training (see a past article on this) we must provide opportunities for activities that reinforce these skills on a regular basis. One way to do this is to use part of the monthly plant meeting to conduct role-plays on coaching scenarios. Project a picture of an unsafe behavior on a projection screen and allow employees to think through how they would respond to that situation. Then break them out into smaller groups to conduct role-plays that address that behavior while the facility leaders observe and provide feedback. Reinforce these skills again in toolbox meetings that are held throughout the rest of the month. Tip 3: Provide opportunities to validate the progress of the culture. 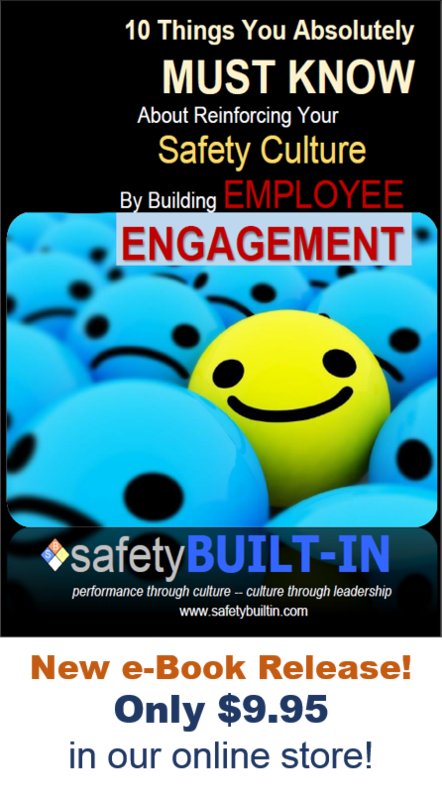 Even after you’ve reinforced the skills for leading a safety culture, there’s no guarantee that employees are doing it on their own outside of a staged environment. We must test their willingness and ability to act when they see an unsafe behavior. One way to do this is to arm yourself with a roll of $1 bills and walk the floor without the required PPE, just to see the response. For instance, go out there without first donning safety glasses or safety shoes, and then observe their behaviors. How long will it be before someone stops you and has a conversation with you? How many people will you have to pass by before someone notices and says something? Once someone does pull you aside, be sure to thank them and reward them with a $1 bill, and then ask them to have a coaching conversation with you about your unsafe behavior. Then move on to another area of the facility and do it again. You’ll find that word gets out quickly, and employees will begin hunting you down to engage you in your unsafe behavior. The next day, have someone else do the same thing so that they don’t focus their observations around safe behaviors on just you. Then do it again on an irregular basis to keep them guessing whether this is a real situation or just another plant. Be sure it’s not the same activities each time, otherwise they’ll know it’s a plant. Pretty soon they will begin actively looking for people in unsafe situations and will begin approaching each other without hesitation when they see it. During the next monthly plant meetings announce that you’ve been “undercover” and explain what occurred. Be sure to recognize the achievements of individuals who stood out in their abilities to do safety coaching well. There are of course many other ways to reinforce the behaviors you want to see, but these are a good starting point. 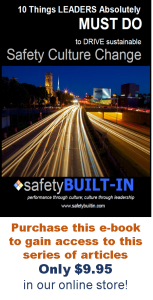 Use your imagination to think of ways to reinforce other safety-culture behaviors as well. 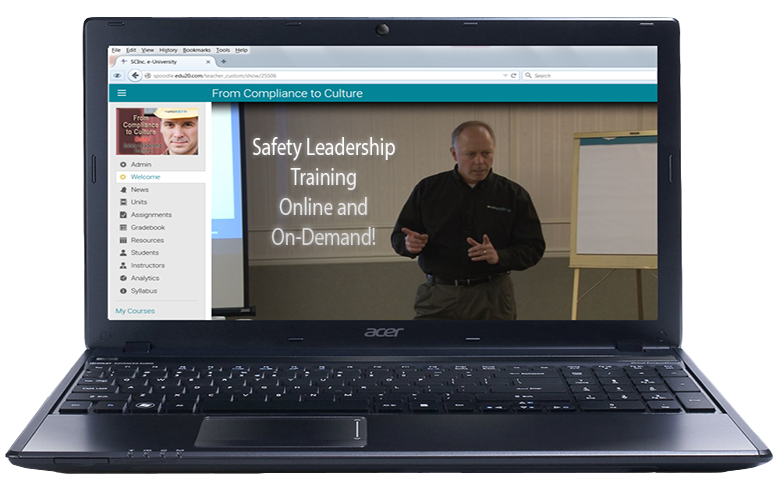 Pretty soon you’ll have a workforce who is fearless in stepping up to lead a safety culture. We’ve have one final step to address in Kotter’s change-management process, but we’ll save that for next time. That’s it for this edition of Recordable INSIGHTS. Until next time.